The quest for automatic weaponry has been around since the invention of the gun itself, and war engineers have always tried their best to design weapons which require minimum reloading when being used in the field. Research on such weapons gained momentum during the last two centuries, and WWI turned out to be the focal point during which several radical concepts & technologies were introduced to modern warfare. One such development in the field of weaponry was the .50 Caliber Machine Gun that has carved its name through the 20th century to this very day. Here are our top facts about this mighty weapon. The original name of the .50 Caliber Machine Gun is the M2 Browning. The prototype was developed by John M. Browning in 1918 right after WWI when the world was saying farewell to trench warfare. 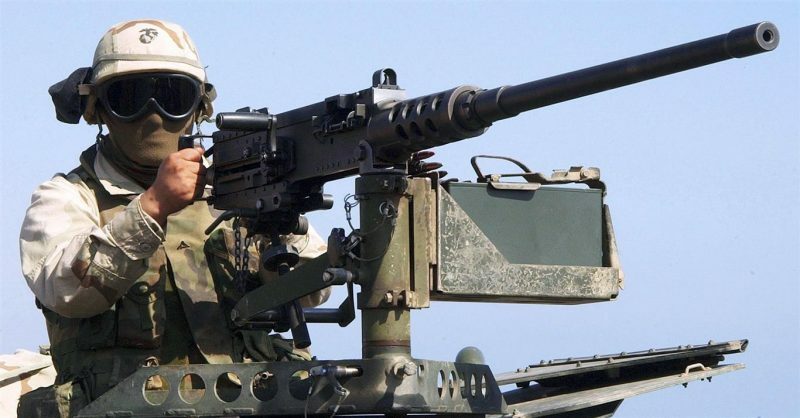 The machine gun has been in production since 1921 and more than 3 million units have been produced to date, currently by a plethora of companies most notably General Dynamics, US Ordnance, Manroy Engineering UK, Sabre Defense, etc. The M2 is transportable by a crew thanks to a back plate with a spade, trigger, grips and latch release. Furthermore, the gun comes with a flash suppressor and spare barrel assembly making it a portable machine gun compared to other heavy weapons. 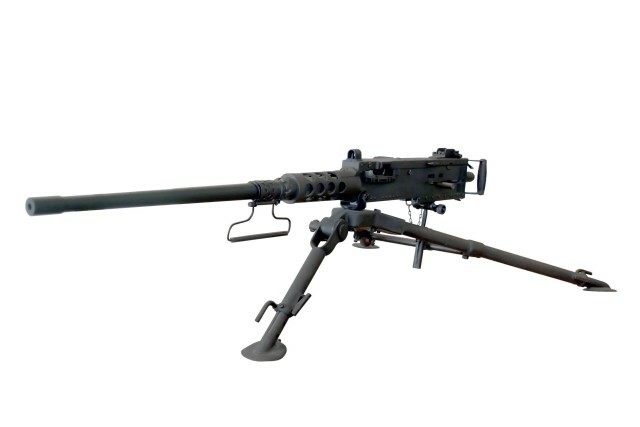 The Machine Gun is almost 61.42 inches in length and weighs 84 pounds alone and 128 pounds with its tripod. The bore has a diameter of .50 inches, obviously! The M2 Browning has an effective firing range of 1800 meters and a maximum range of 6800 meters. The fired bullet has a muzzle velocity of 809m/s! The M2HB variant manufactured by General Dynamics has a cyclic rate of 450 – 600 rounds/minute. 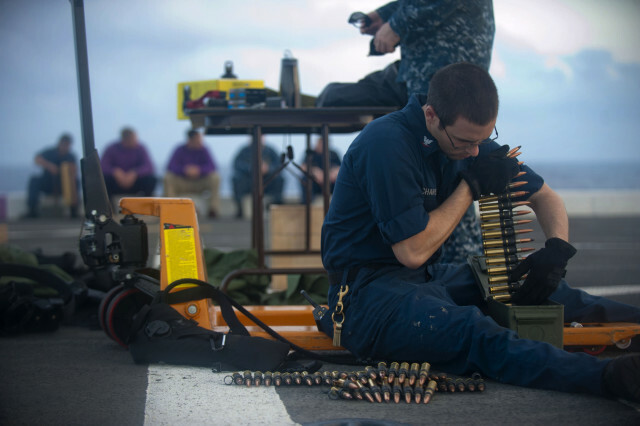 Faster variants include the AN/M3, for use in aircraft, having a rate of fire around 1200 rounds/minute. Right from World War II to the Vietnam War, the M2 was used with armor piercing incendiary rounds. To be called armor piercing, bullets have to punch reliably through 22.2 mm of hardened steel armor from 500 meters. If you were to make a 2-meter hole within a bunker using an M2 Browning, you would need 300 rounds. That’s $1500 at $5 per round! It is stated time and again by US Army Personnel that, during battles, the sound of the M2 Machine gun forced any nearby infantry units to take cover!